Ever wanted to see which API requests were failing the most? Wanted to debug why a specific user's game didn’t load? See exactly which requests your multiplayer code is making? Or just found yourself wanting a real-time traffic inspector that lets you see exactly what your game is doing? Well, you’re in luck. Because today we’re releasing the API Sampler. 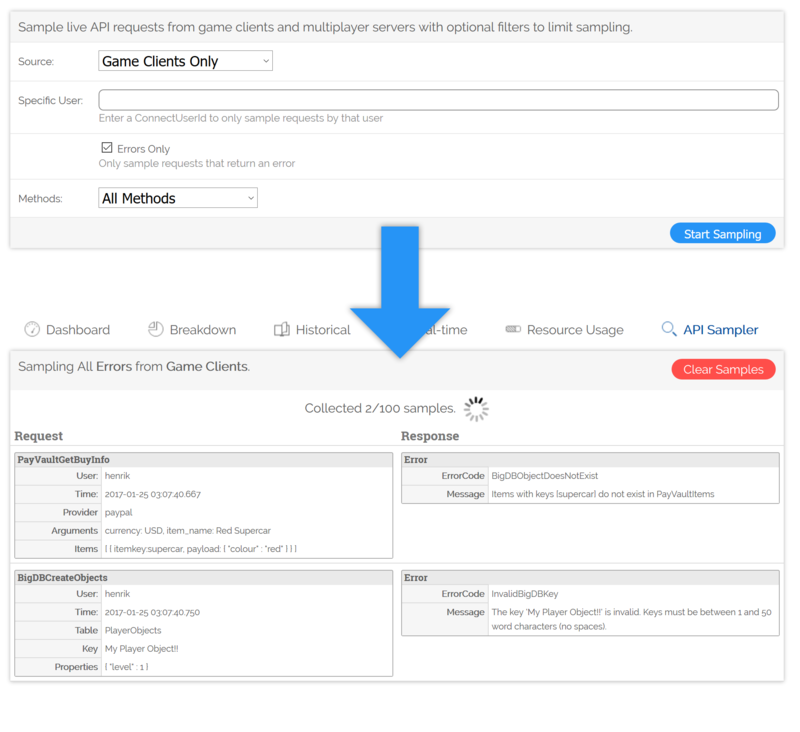 With it you can inspect live traffic from your game, and set various filters to limit the traffic sampling to specific sources, users, or types of API requests. This allows you to get a runtime snapshot of your game traffic, without having to use extensive logging or running live traffic through your development server. You can access this new feature through the PlayerInsight section of your game, so go check it out, see what your game is really up to, and let us know what you think!